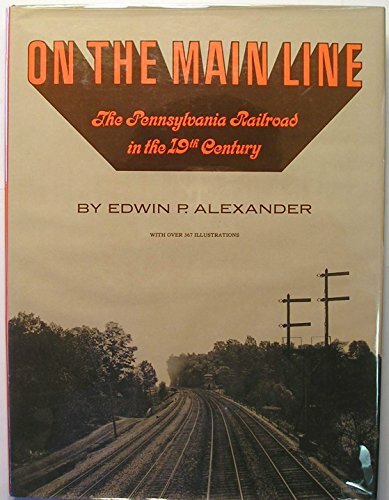 Synopsis: The Pennsylvania Railroad took photographs of its equipment and the line throughout the 19th century, allowing the reader to experience the views along the country's greatest railroad. For each Division, the reader is given the entire schedule, a map of the journey, and photographs with comprehensive captions that explain the various sights along the way, often quoting contemporary authors on unusual sights. Divisions covered include the Philadelphia, Middle, Pittsburgh, New York, Cumberland, Conemaugh, and Schuylkill as well as the Philadelphia, Wilmington & Baltimore Railroad, the Cumberland Valley Railroad, the Northern Central Railroad, the Philadalphia & Erie Railroad and the Horseshoe Curve. Illustrated throughout with black and white photos and maps. 310 pages with index.